The staff of Beaumont Private Radiology are all Irish trained and registered radiologists. All have worked abroad in internationally renowned hospitals in specific disciplines, including, onclology,musculoskeletal, gastrointestinal and genitotourinary radiology. They therefore bring a wealth of experience to department in the interpretation of all radiological studies. 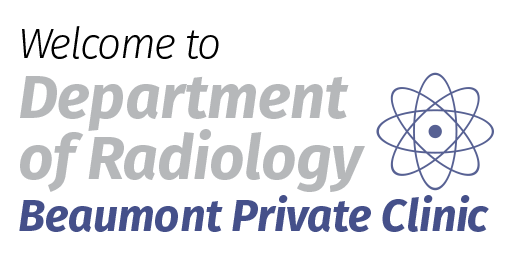 Beaumont Private Radiology is conveniently located on the grounds of Beaumont Hospital with parking adjacent to it. We offer a comprehensive range of diagnostic services to patients referred by GP or consultant.